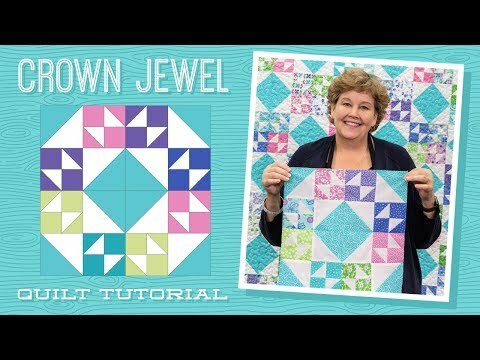 Crown Jewel Quilt Pattern by Missouri Star - Missouri Star Quilt Co. - Missouri Star Quilt Co.
Adorn your palace with a quilt that's fit for a queen. Crown Jewels is as pretty as a sparkling gem and much easier to cuddle with! This quilt begins with a few packages of pretty 5" squares and a couple yards of background fabric. By the time you're finished with this quilt, you'll feel like royalty!